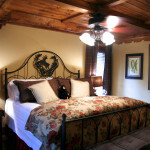 All of our luxury suites have full kitchens, Direct TV, wifi and daily light housekeeping service. All bedrooms have comfortable beds with pillow top mattresses, Frette Linens from Italy, Molton & Brown toiletries from England and soft plush bathrobes. 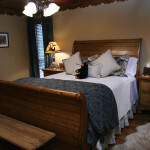 They are warm and comfortable, beautifully decorated retreats you will want to come back to time after time. 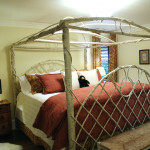 Click the icon above to see images of the Camellia Suite. The Camellia Suite is a King suite and adjoins with the Rose Queen Suite. Click the image above to see images of the Rose Suite. The Rose Suite is a Queen Suite and adjoins with the Camellia King Suite. Click the image above to see images of the Alpine Suite. The Alpine Suite is a King Suite. Click the image above to see images of the Foxgove Suite. The Foxglove Suite is a Queen Suite. Click the image above to see images of the Dogwood Suite. 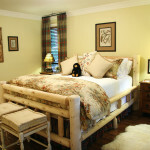 The Dogwood Suite is a King Suite and adjoins with the Lady Slipper Queen Suite. 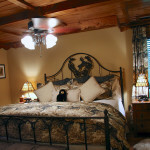 Click the image above to see images of the Lady Slipper Suite. The Lady Slipper is a Queen Suite and adjoins with The Dogwood King Suite. Click the image above to see images of the Rhododendron. 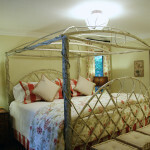 The Rhododendron Suite is a King Suite. Click the image above to see images of the Laurel Suite. The Laurel Suite is a Queen Suite. Enjoyed our time staying in the Laurel suite. 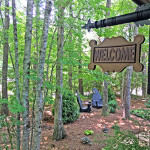 After a fun day of waterfall hikes and ejoying the mountains, it was nice to have such a relaxing place to stay. We would definitely come back. What a wonderful place to stay. So cozy and warm. We love the books you left for us to read especially "Living With Bears". Thankfully we didn't see any but we were ready! Your attention to detail is remarkable. We lacked for nothing. What a great place to rest. We are renewed and ready to get back at it. "What a wonderful surprise to find this charming cottage. Everything is appointed perfectly. Thanks for putting such thought and effort in the Black Bear Lodge. We will be back with friends." Absolutely warm & beautifully decorated! Perfect in every way..... Love the Logo towels. 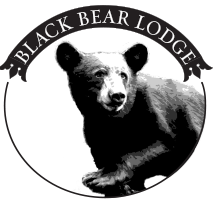 The Black Bear Lodge is beautifully decorated and a great place to relax and rejuvenate!